Attaches hook to leader and provides a hold for bait. Pass one end of the leader through the eye. Wrap the long end around the hook and short end about 15 times. Pass the long end through the hook to create a loop. Continue wrapping using the loop about another 7 times. Pull the long end to tighten the wraps. Open up the egg loop. Names: The Egg Loop Knot is also sometimes known as the Bumper Knot. It is a modification of the Snell knotin that turns are wrapped prior to the end being passed through the eye for the second time. Uses: Fish eggs, shrimp, and fish roe make excellent bait. The Egg Loop knot provides a hold for the bait and is commonly used when fishing for salmon and steelhead trout. Tying it: Keep all the turns tight and avoid overlaps: develop a hold on the hook and line so that you can keep control of the turns. The first turn is usually the most awkward. However, the wraps using the loop can easily result in twists that can complicate the final pull to complete the knot (frame 16). Names: The Egg Loop Knot is also sometimes known as the Bumper Knot. It is a modification of the Snell knot in that turns are wrapped prior to the end being passed through the eye for the second time. 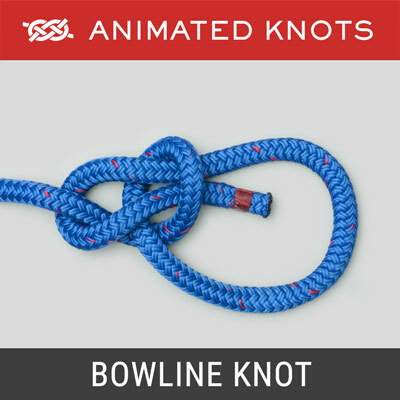 The Bowline Knot makes a reasonably secure loop in the end of a piece of rope. It has many uses such as to fasten a mooring line to a ring or a post. 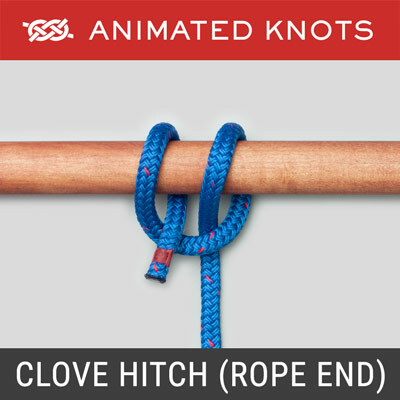 The Clove Hitch can be used for a temporary hold, e.g., stage scenery or mooring buoy. It does have two giant faults: it slips and can also bind. It should be deeply distrusted when used by itself. 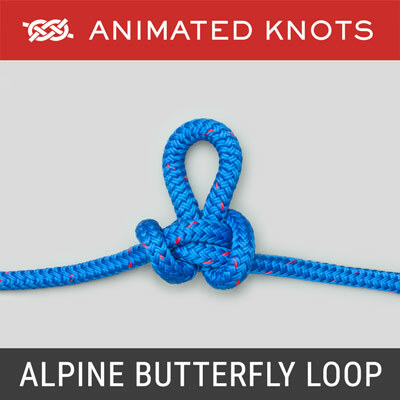 The Alpine Butterfly Loop provides a secure loop in the middle of a piece of rope. Load can be safely applied: from the loop to either end of the rope; between the two ends with the loop hanging free; or to the loop with the load spread between the two ends. 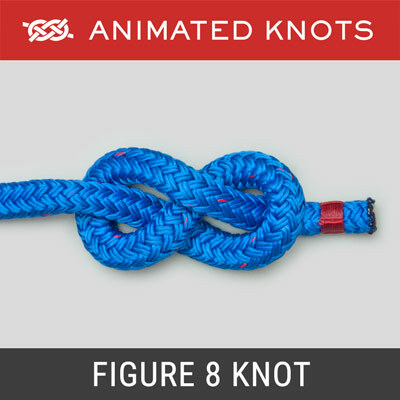 The Figure 8 Knot provides a quick and convenient stopper knot to prevent a line sliding out of sight, e.g., up inside the mast. 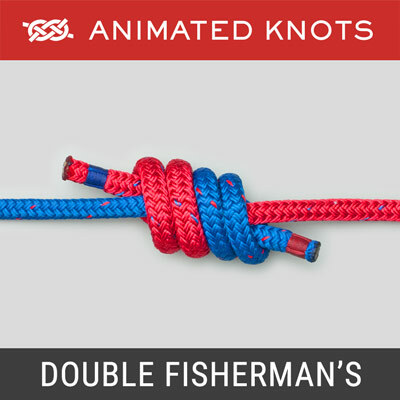 The Double Fisherman's or Grapevine Bend consists of two strangle knots (like double overhand knots) each tied round the other standing end. The Square Knot (Reef Knot) is usually learned when we tie our shoelaces. 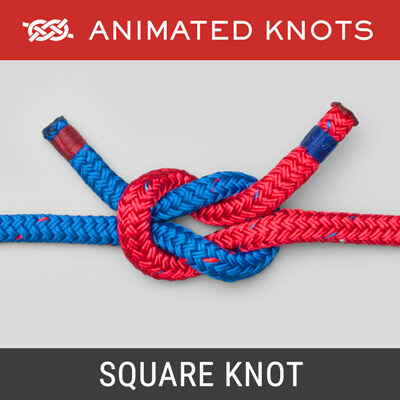 Admittedly it is usually a bow that we tie - but the underlying knot is a Square Knot.